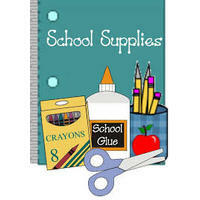 Let the Mohr PTA shop for your child's school supplies! By purchasing in bulk, we're able to get the best possible prices on a wide array of items. All items purchased will be shared by your child's entire class. Any extra funds collected will go to support even more classroom projects and activities! It's the easiest way to help our school and save yourself some time! This year, we're asking for a flat $50 donation per child to cover the cost of these supply kits. On behalf of our teachers, thank you so much for your support!